‘Democratisation of Digitalisation: new digital technologies for users in cultural institutions’ is one of the projects supported through the ‘Audience in Focus’ open call of the Foundation with the funds allocated from the budget of the Autonomous Province of Vojvodina for 2017. The City Library of Novi Sad and ‘Svetozar Marković’ University Library from Belgrade jointly implement the project, with the support of project partners of the Library of Matica Srpska and Historical Archives of Novi Sad. The end goal is to involve as many users as possible in the process of digitalisation of library and archive resources, in order to make them more available. The national central workshop ‘Democratisation of Digitalisation’ will be held within the project in the premises of the Historical Archives of Novi Sad on Friday, 21 December at 10 a.m. New technological possibilities based on digitalisation will be presented during workshop in order to change the work of libraries. The workshop will be opened by Dr Svetlana Jovanović, representative of the Cabinet of the Prime Minister of the Republic of Serbia, while Dr Günter Mühlberger from the University in Innsbruck, who leads the pan-European team for development of new technologies for digitalisation of cultural heritage within the H2020 project and Transkribus European collaborative, will take over the moderation. The workshop will enable participants to individually work with elements composed of new technological possibilities for changing the business paradigm based on digitalisation, scanTent and docScan Transkribus. Different aspects of work of those technologies and experienceregarding their application so far, will be considered in several European countries and Serbia, within the H2020 READ project of the European Commission and explanation of the perspective of use within the Transkribus European collaborative. 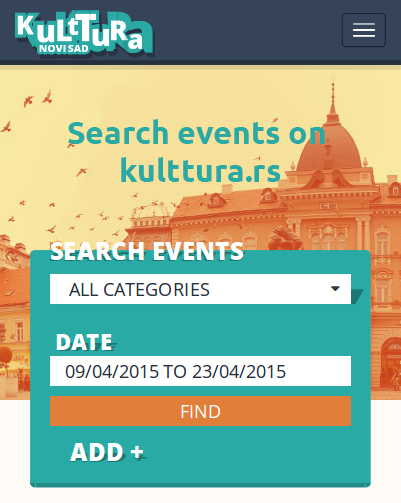 The implementation of the ‘Democratisation of Digitalisation: new digital technologies for users in cultural institutions’ project, which is organised under the patronage of the ‘Novi Sad 2021 – European Capital of Culture’ will last until the end of 2019 and it is expected to bring numerous interesting and useful innovations in library business, strengthen cooperation between librarians and end users and make libraries of Novi Sad important and inevitable stakeholders in projects of preservation of cultural heritage.